by Luchezar L. Avramov, at al. 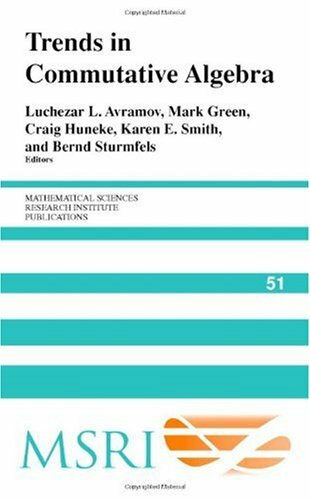 This book is based on lectures by six internationally known experts presented at the 2002 MSRI introductory workshop on commutative algebra. They focus on the interaction of commutative algebra with other areas of mathematics, including algebraic geometry, group cohomology and representation theory, and combinatorics, with all necessary background provided.